We had two pumpkin pies at our Thanksgiving, and since I wanted something similar but didn't want to be the only person eating it, I made a sweet potato pie. I followed the recipe on the back of the can (shame on me), but with more spices and rum. I might have had a little too much wine and not taken a picture of a slice with whipped cream on top, sorry. This is delicious! Especially cold the day after. Preheat oven to 425. Mix everything together, pour into the pie crust, and bake 15 minutes. Turn down the heat to 350 and bake another 35 minutes or so, until set. Cool before serving. Top with whipped cream or a little ice cream. Sounds yummy, but where are you purchasing gluten-free pie crust? What's the brand? and if you like . . .
and blissfully decadent and delicious :)!!! Waw!! 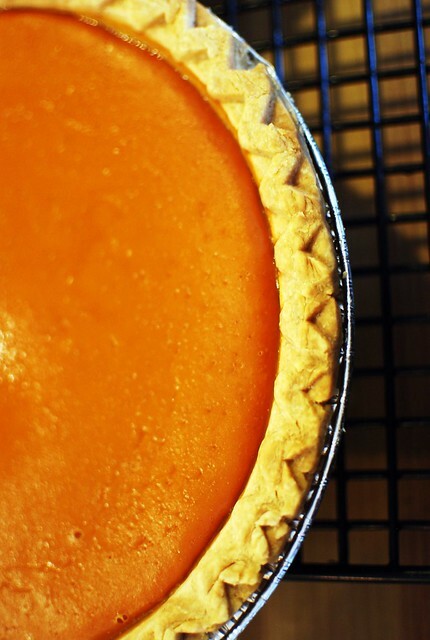 Your gf sweet potato pie looks tremendously tasty & appetizing too! MMMMMMMMMM,..What's not to love here?